Key Difference: .NET is a software framework/infrastructure developed by Microsoft used to develop, run and deploy next generation of applications and XML Web services. .NET 3.5 and .NET 4.0 are two different versions of .NET. Its 4.0 version is more advanced and hence contains enhanced features than compared to 3.5.
in 4.0. Companies always try to bring out new versions in order to enhance their product and Microsoft is always ready with a new improved version. This is very important to compete with other companies which are focusing on the same kind of product. 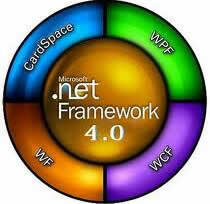 .NET Framework 3.5 was released on 19th November 2007 and .Net 4.0 was released on 12th April 2010. 4.0 contains all the basic features of 3.5 but improvements have been made in Common Language Runtime and Base Class Library. 4.0 also show improvements in data access methods and data modeling techniques. Enhancements have been also added to ASP.NET in the later version with features like new query filters, entity templates, more control over HTML etc. 4.0 also showcases improvements in Window Presentation Foundation and many more. In ASP.NET 4, requst validation is enabled for all requests by default and due to this change, those request validation errors occur which do not have occurred in 3.5. Some of the key differences have been highlighted in the table. Yes, by using viewstate mechanism. ASP.NET AJAX, Language Integrated Query (LINQ), enhanced Window Communication Foundation. Improvements in CLR , BCL, data modeling, parallel programming, asp.net enhancements etc. Yes, easy to configure one or more custom output-cache providers. Large due the Ajax, routing and integration with IIIS 7. Can be empty or small as major configuration elements have been moved to the machine.config file. The keywords and meta tags can be included as part of page directive itself.